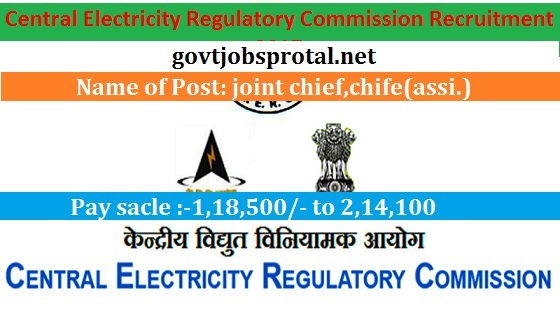 central Electricity Regulatory Commission, a ststutory body constituted under act of parliament, invites applications for the following post to be filed up by deputation/short-term contract basis from the officers of Central/state Government, Public Sector Undertaking , Autonomous Bodies, ect. Total No Vacancies; - 3 Post. 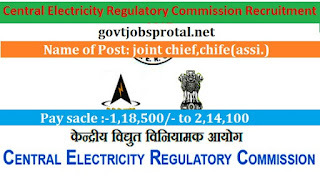 2).Assistant Chief (Engg) :-Graduate Degree in Engineering with a relaxation to Diploma in Engineering for Member of Central Power Engineering Sevies promoted from feeder service. 3). Junior Hindi Translator:-Master Degree from a recognized university in Hindi with English as a Subject at the degree level or in English with Hindi as a subject at degree. 1).Details of essential qualifications,experience ect.and other terms and conditions of service and format of application are available in the website www.cercind.gov.in.